London is an amazing street art scenario, that’s why we think that London is the best Street Photography location. Schoreditch is absolutely one of the best photo spot for street art in London. 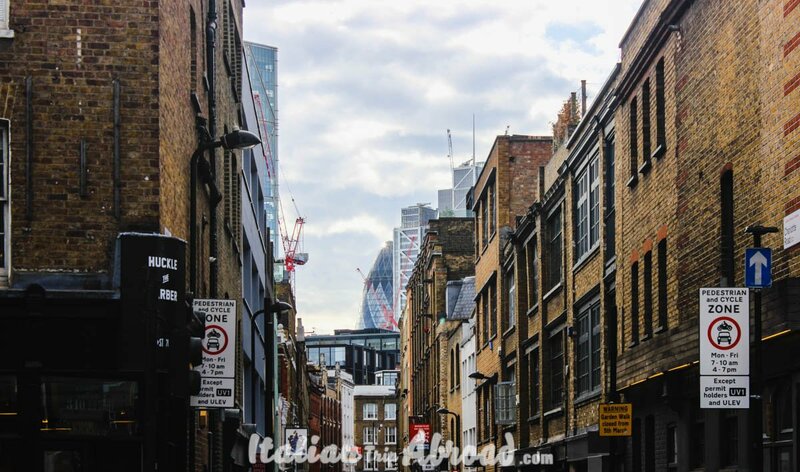 Just walking around the punk and old school part of London, pointed at east of the city, that you will find amazing narrow street with great pieces of Art. London is one of the best place where the famous artist Bansky disposed his art to the mass. Our post about London street photography location is not just devoted to Graffiti art, it is a proper way to find the best places where take amazing shots. If you are looking for more charming prettiest streets in London, we will give you a proper itinerary as well. London is one of the best city where you can take some amazing pictures. There are planty locations where you can find the best spot. Shoreditch, for example, is one of the best London street photography locations. 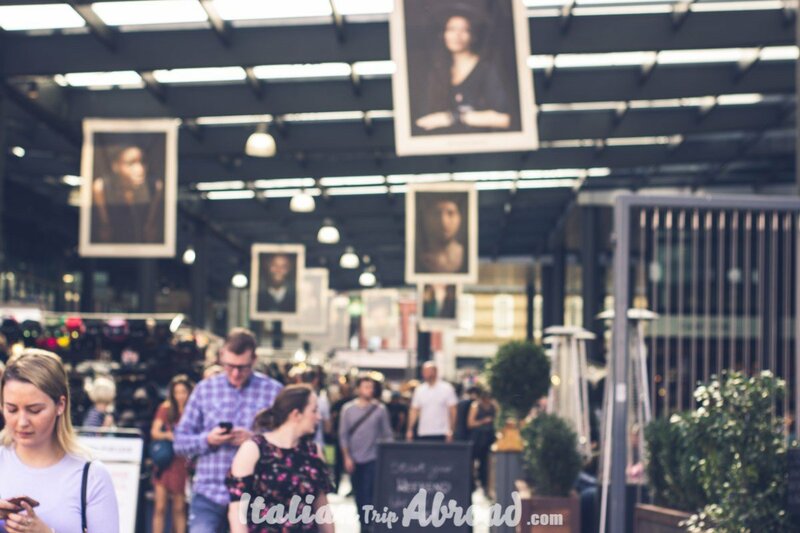 It is surranded by the best street art, graffiti and vintage markets and fashion shops. We had the amazing opportunity to work with Three UK, going around the city and learn new tips with the new iPhone XS. Which is the best place to do it? Of course, Shoreditch and Brick Lane. It’s one of the more colourful areas of the city. Shoreditch aside from Brick Lane is perfect for street photography. The graffiti and street art of East London provides the perfect backdrop for great London street photography. I personally discovered better this area thanks to Kellee, working with Three Uk. While Alessia is shooting with the phone, Toti is in some corner find the best angle, cutting the light! 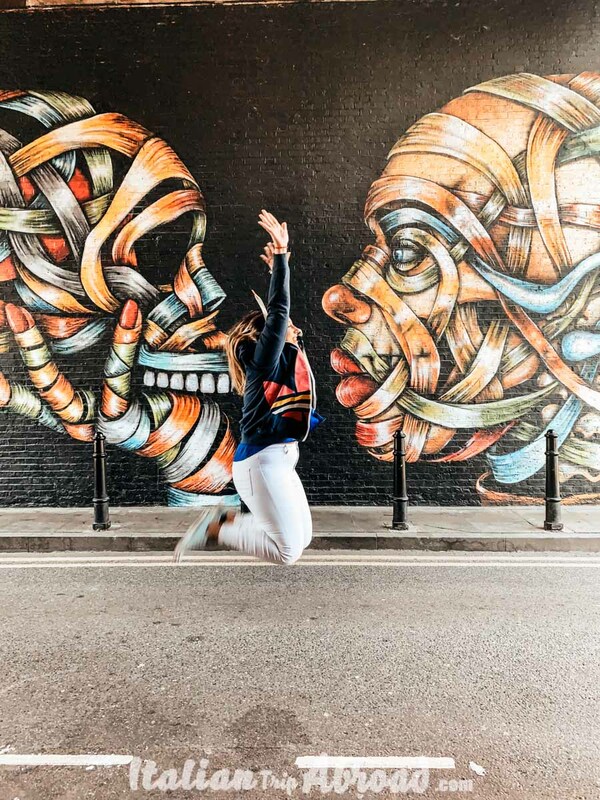 Out of all the different activities to do and things to see in Shoreditch, checking out its street art is on the top list. There’s a ton of galleries and museums like the Brick Lane Gallery and the Whitechapel Gallery, but the crème de la crème of London’s art scene is along Brick Lane, Club Row, Fashion Street and Bacon Street. Brick Lane remains a place where you’ll find a lot of characters and people generally a little bit more open to the idea of being photographed by a stranger. This part of London is really vibrant and multicultural, colourful streets where you can meet independent artisans sellers, or walking through the stand in a casual Sunday morning, all surrounded by nice spices smells from all over the World. During this amazing walking tour with Kellee, I had the opportunity to meet Rob. He is a really good photographer which he showed us some tricks about the new iPhone XS. I was so happy because for the first time I was so proud of my pictures. I will share with you one of the tricks Rob teach me. If you want to take a picture from the street you can just turn around your phone. Yes, you understand well, you can just flip your phone in the upside down, later you can mastery your photo and at voilà, you have got an amazing photo from the street! It works! If you love to be around and take some pictures you are, for sure, in the right place. Here in London, you have plenty of locations where your imagination can start to work. This is our itinerary which we highly recommend if you plan your visit to London, or if you are already here and want to enjoy a different way to visit the city. Start your tour guide from old Street Station going towards Shoreditch, where after just 5 minutes you will stop and start to take pictures because you will be surrounded by amazing graffiti. Our personal idea is to get lost in the middle of the city and exploring everything by yourself. To be honest, every time we booked a free walking tour we never showed up, as we always preferred to see the city with our eyes. Of course, there are some exceptions as the one we did in Rome with Livitalytours, which it was different as the guy who we were with was showing us the city in a different way. So amazing guys, you have to try it! However, if you want still to book a free walking tour, online there are plenty, you just need to pick up the one that you like more, as all of them are offering a different type of places. For sure, you can’t miss visiting the Old Spitalfields Market and the Boiler House which are typical of Shoreditch and Brick-lane and remember this need to be in your top ten London street photography locations. 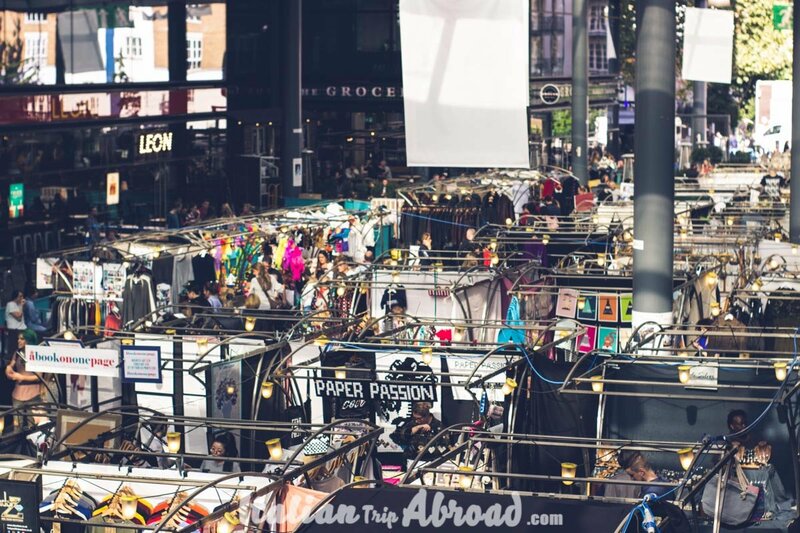 London has some fantastic markets, many of which began operating hundreds of years ago. Old Spitalfields Market is not an exception. It completely rebuilds, but is worth to go! There has been a market running on the same grounds as Old Spitalfields Market since the 17th Century. Back in the Victorian Era, most of the stalls sold fresh products. The modern-day market is now hosting to multicultural food stalls and independent artisans selling jewelry, books, and clothes. The mix of history and unique stalls makes it one of the best things to do in Shoreditch. 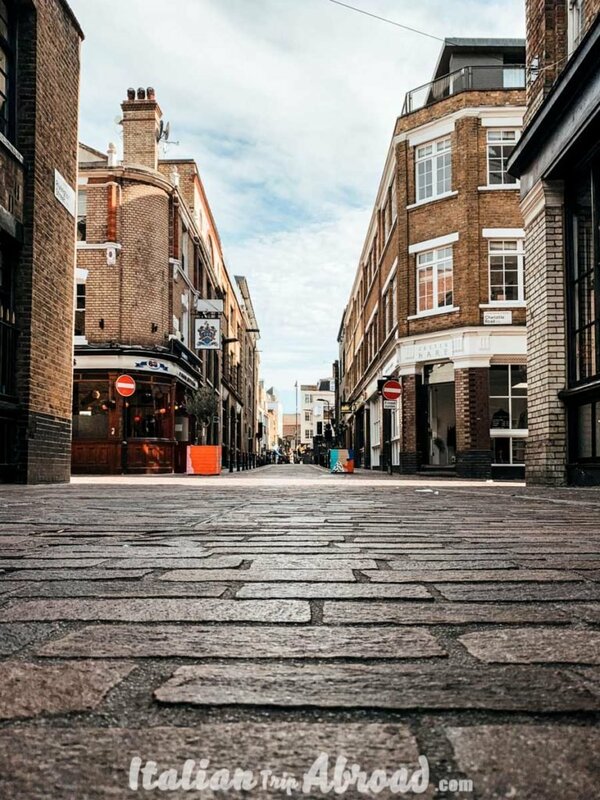 The Old Spitalfields Market and the Old Brick Lane Market are not to be missed by any first-time visitor to Shoreditch. The Sunday UpMarket and the Columbia Road Flower Market are a must-see as well. After walking for long, you need to stop by and eat something. The Boiler House is the perfect place to do it and to take some nice picture as well. This it will be your last stop before going back to your meeting point. This old boiler room is now used as place for events. On Sundays there is an huge and tasty food market. You will find a lot of stands with all different type of food. All the World is here, you will find Italian, Mexican, Japanese, Lebanese, Indian, Vegan and more dishes. You will have the opportunity to try different kind of food. Take the phone out of your pocket and start to shot. Wow this is a very cool list of streets in London for street photography. Brick lane and Shoreditch both are so awesome. I will spend a day getting the right photos out there. Thank you for compiling this list. Looks like we will not miss every corner of London now. You won’t. Those are the best places in London which everyone should visit. This is gonna come in handy when I visit London, I am always looking for places to take pictures off, and all of these places seem beautiful, might just tell my friends about a few of them since they are coming to visit London during the begging of next year. I wish I had known about all of these great streets when I was in London last year! I suppose that means I’ll have to go back so I can try to take some photos in these beautiful locations. Oh I did not know that there is a whole street with such great street art in London! I went to London more than a decade ago and of course, a lot of things would’ve changed since then. The street art you’ve captured is so creative and lovely, I’d love to get pictures of it too! I wish they didn’t ban street art in Dubai (where I live), it makes streets so much more beautiful! I had no idea London had so much street art. Been there a few times but never noticed any! And of course, the streets are artsy themselves. Next time I go there, I will make it a point to notice. Thanks for this amazing post. London is such an interesting place, though I had no idea that it has such great street art. These all look great. I am sure you had a fun time taking pictures. Brick Lane is really vibrant. I am really fond of taking photographs of markets. They come out to be amazing! I saw a few of these on my trip to London! The city is full of amazing street art – next time I visit I want to take the time to appreciate it more. This is fantastic. 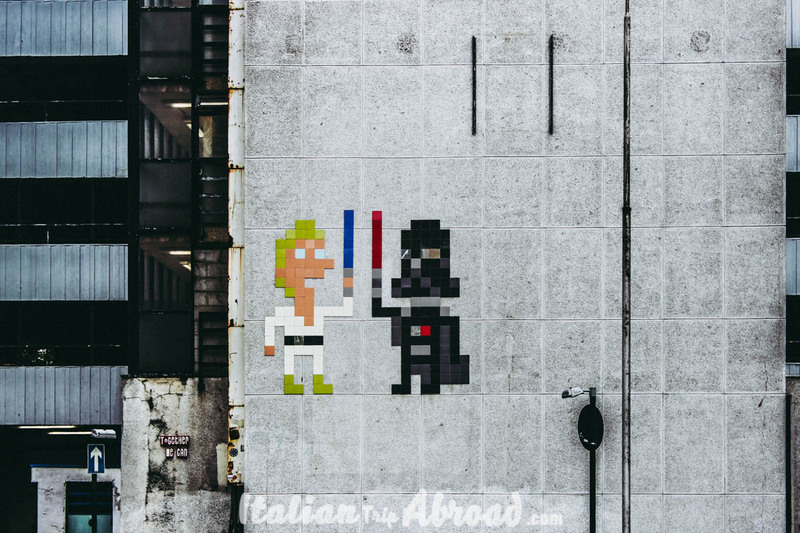 I have a growing interest in street art and I love collecting posts on places with great street art to put on my bucket list! This is very timely as I’m going to London soon! I’m hoping to hit some of these spots. Thank you for the tips! Happy to help! Hope you enjoy your time in London. 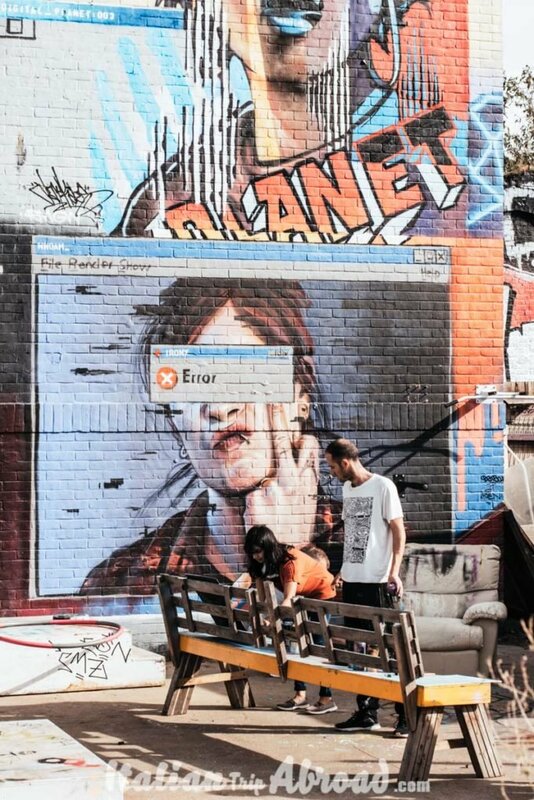 These fancy street art projects were not present when I lived in England and visited London often and I guess this is my cue to visit and re-live my childhood. I guess the East End is now Brooklyn in terms of revitalization. Wow amazing pictures! such beautiful artwork as well. 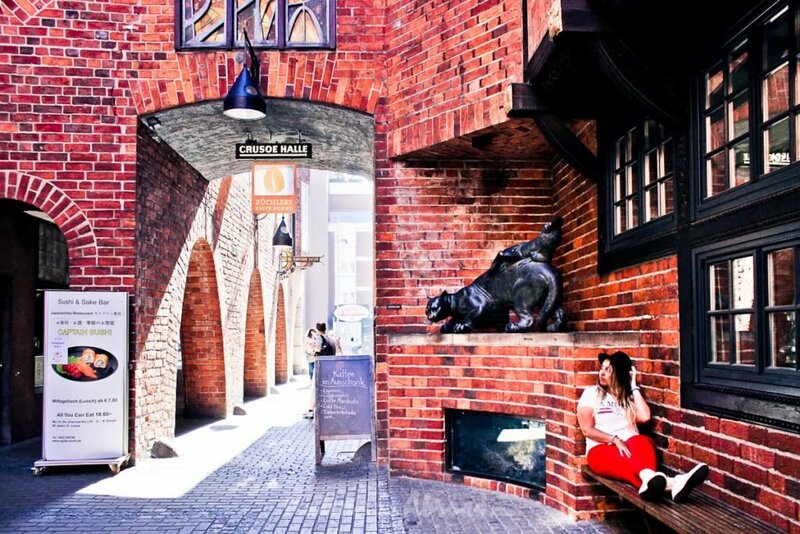 I love exploring the streets and finding unique places for photos or artwork! Such an inexpensive way to travel. I am saving this for my next trip to London! Haven’t been to London yet but this guide will come in handy. I love to see the street art in different cities. Thanks for sharing ?